Nothing says walking dead quite like an exposed brain! Exposing your brain is not nearly as hard as you might think. Reach for this Open Brain Zombie Mask and slip it on, and your grey matter will be exposed for all to see! Hopefully your viewers are not squeamish! 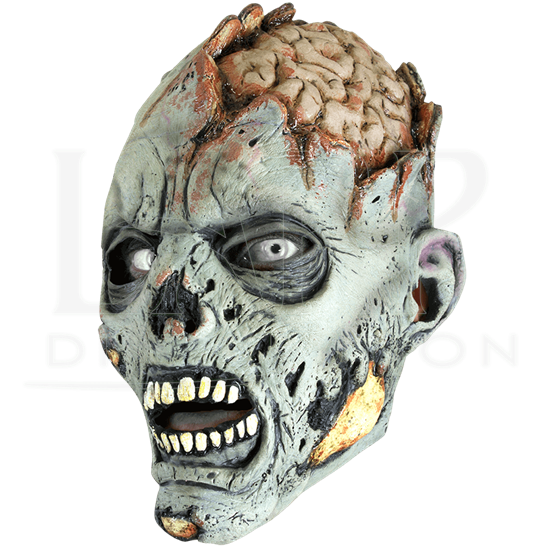 This gory mask features classic green zombie skin and a ruined head that exposes pale fleshy brains and bits of bone. And since it is made from quality latex with a fitted design, the mask is quite comfortable to wear too. 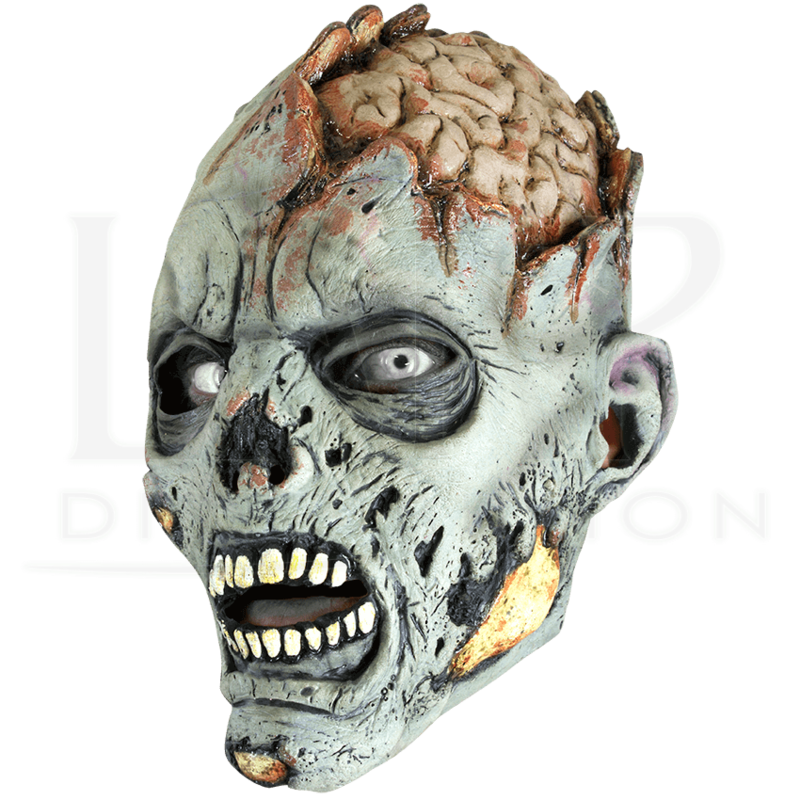 Add in the fine detail, and this Open Brain Zombie Mask becomes an easy choice when it comes to building your next zombie look, whether it is for Halloween or for a zombie LARP. 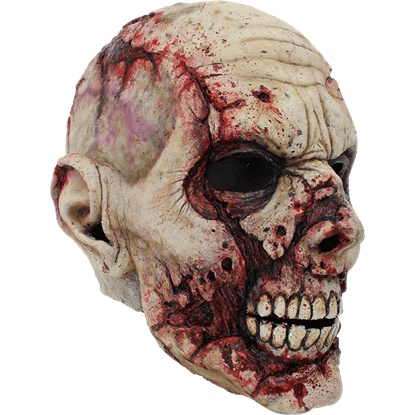 Almost skeletal in its appearance, this Pale Scarface Zombie Mask is a quintessential undead accessory, offering a fantastic level of detail and gore. Combine it with a good wardrobe, and you will have a nigh-unbeatable zombie look! 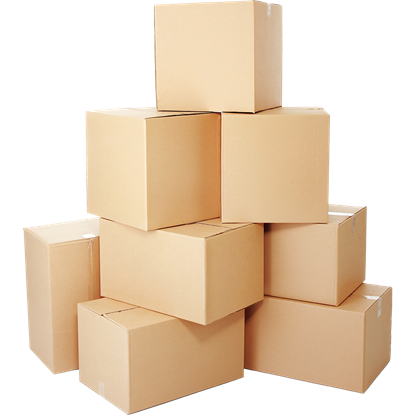 The Dark Moon Nail Club is made from extremely durable foam that does not shred. 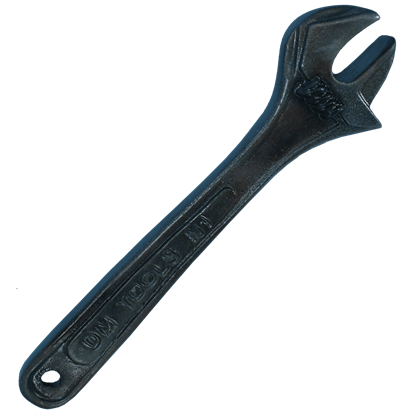 The Nail Club is a wicked looking LARP weapon, perfect for any futuristic LARPs. 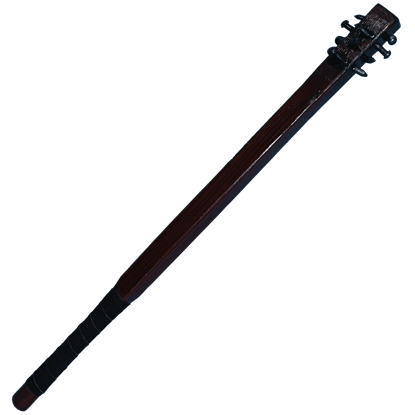 It makes a great character accessory or prop. 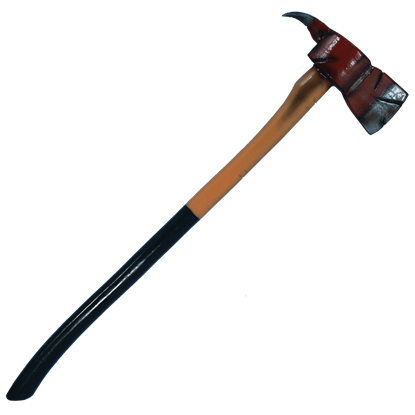 The Fire Axe is so authentic looking, that, without touching it, it is hard to tell that this axe is made of foam. This axe has many uses and is intended for LARP, and this is also a great fireman collectible and display piece.